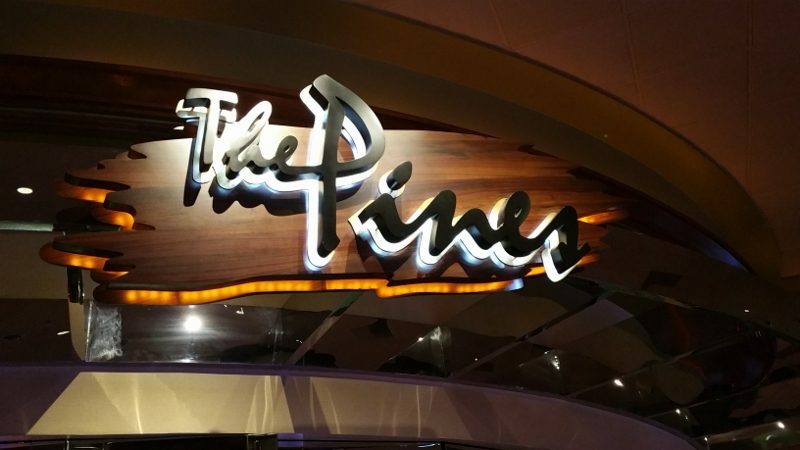 In the mood for steak and some slot machines but don’t want to go all the way to Vegas? Head to San Manuel Indian Bingo and Casino in San Bernardino County, an hour and a half east of Los Angeles. That’s what I did with some friends when I was invited out to The Pines Steakhouse. 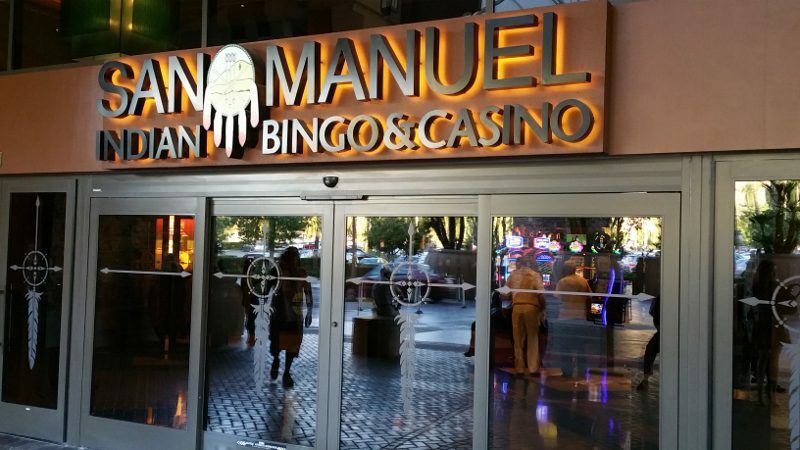 It was my first time to San Manuel Casino and I was impressed by the recently renovated casino. But, what is all the more impressive are the 3600 slot machines! That is a lot of slot machines and the sound of spinning slots and the bells are ringing from every corner.